The failing health or death of a loved one can create many legal issues. The Estate Litigation Group aims to provide practical, cost-effective, and sensitive advice and solutions. RBS clients include executors, administrators, trustees, heirs and beneficiaries, and family members who feel that they were wrongly excluded from an estate. When loved ones can no longer care for themselves, the firm also assists family members with applying to court for guardianships. 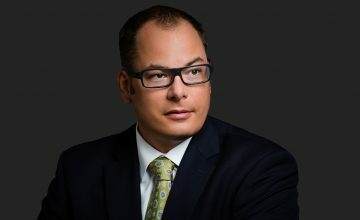 The Estate Litigation Group is comprised of experienced trial lawyers who apply their dispute resolution expertise to a vast array of contentious matters relating to wills, trusts, adult guardianship, and administration of estates. The lawyers use their skills in negotiation, mediation and, where necessary, court litigation to reach solutions. The Estate Litigation Group also works in conjunction with the firm’s Wealth Preservation and Business Groups to provide clients with thorough solutions. Lawyers have experience in challenging and upholding wills and trusts when one person thinks they received an unfairly low share, or where there are concerns that the person making the will or trust did not have the mental capacity to do so or was wrongly influenced by someone else. Lawyers represent family members when there is a dispute after a person’s death about property they transferred into joint ownership during their life. The firm defends executors, trustees, attorneys and adult guardians who have claims brought against them, and advises family members seeking to recover assets that were lost due to financial abuse or abuse of trust by fiduciaries. The firm assists family members with applying to court to be appointed as committee to make financial, legal, and health care decisions for adults who are no longer capable of making those decisions for themselves.